Home Press Another Good Deed, From One Child To Another! Another Good Deed, From One Child To Another! 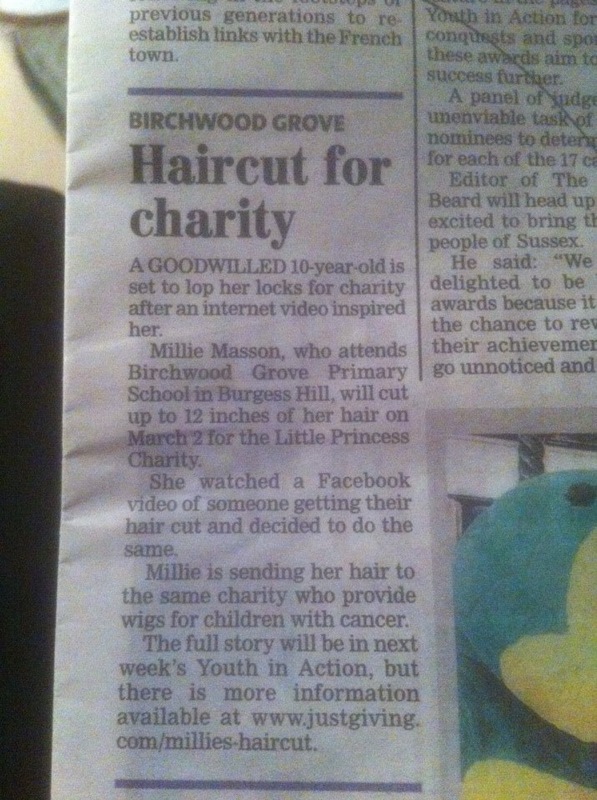 How wonderful that our charity donation story in favour of The Little Princess Trust has inspired 10 year old Millie to also donate! I, Shuna Hammocks, urge anyone considering donating more than 12cm of hair to download the donation pack. This will give the chance of a child with no hair a wig worth upto £2000. My 5 year old son has alopecia areata. Please can you contact me to let me know if we can come for a consultation to discuss options. For privacy, we have truncated your surname. I believe our team has already contacted you for further communication.